See a list of things to do in Orlando. Maximize your time in Orlando with a visit to Disney! 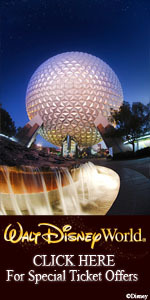 To purchase specially priced Disney Meeting/Convention Theme Park tickets, please call (407) 566-5600 OR purchase online. Please note, the cutoff date for advance purchase savings is May 11, 2019. Don't want to leave the resort? No Problem! 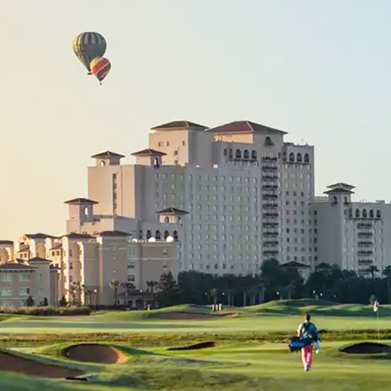 The Omni Orlando Resort at ChampionsGate has plenty of fun activities for everyone. The resort features two championship 18-hole golf courses designed by accomplished architect and golfer Greg Norman and a lighted nine-hole par 3 golf course and is the world headquarters for the David Leadbetter Golf Academy. Golfers also enjoy the convenience of walkout golf with a continuous golf cart shuttle to and from the golf course and academy. Treat yourself to a relaxing spa service at the Mokara Spa at ChampionsGate. The Mokara Spa offers a variety of luxurious, soothing spa treatments—from massages, facials, and body wrap treatments to manicures and pedicures. Looking for some fun in the sun? 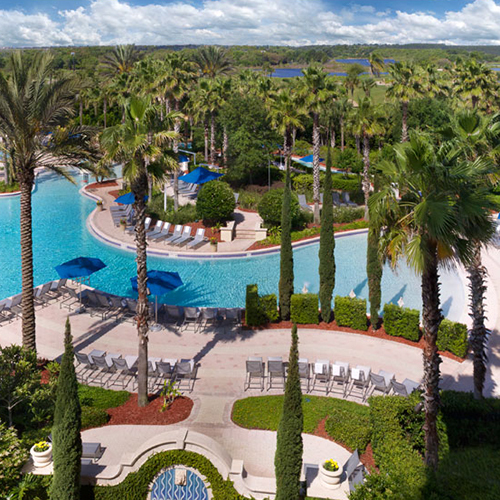 The Omni Orlando Resort at ChampionsGate offers an endless amount of water activities. From large pools and lazy rivers to waterslides, whirlpools, and Orlando's only resort wave pool, there’s something for everyone to enjoy.